With this month’s fiesta, Rom Cremat has made an appearance. This is a traditional drink popular in the Catalonia region. It is served to accompany a performance by havanares, songs based on 19th-century Cuban music. The ingredients are rum, coffee beans, sugar, lemon peel and cinnamon with other spices. 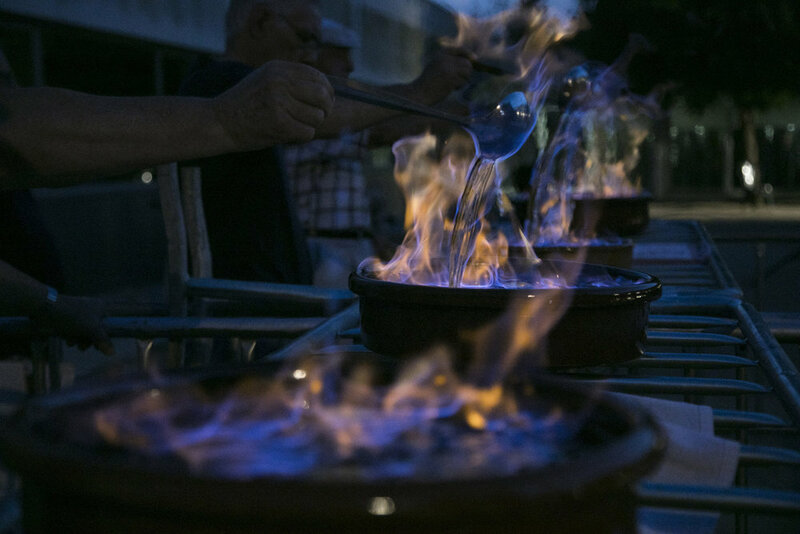 Placed in an earthen ware dish, the rum is heated and then set alight. It means that some of the alcohol is burnt off, so it’s not too strong but a very decent hot toddy! Pour the rum into a saucepan and gently heat. Place the rest of the ingredients into an earthenware pot. Once the rum is hot, light it and pour slowly into the terracota pot. Stir until reduced by a third and serve.